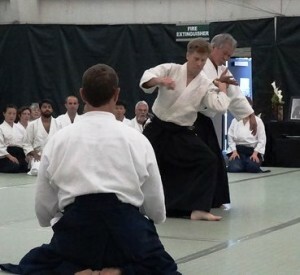 Dynamic seminars with Birankai Aikido instructors this weekends on both coasts: Mike Flynn Shihan, George Lyons Shihan and Robert Savoca Sensei at Bucks County Aikido in Pennsylvania; Elizabeth Lynn Shihan and Deena Drake Sensei at Aikido of Santa Barbara in California, with USAF friends Peter and Penny Bernath Shihan(s). 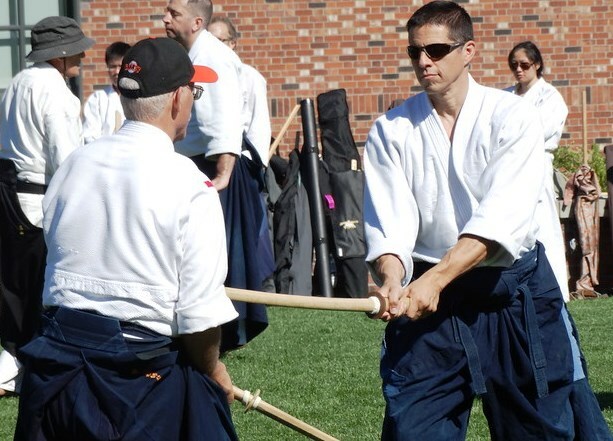 Lots of sweat was shed by all on a hot weekend on both coasts, on and off the mat! 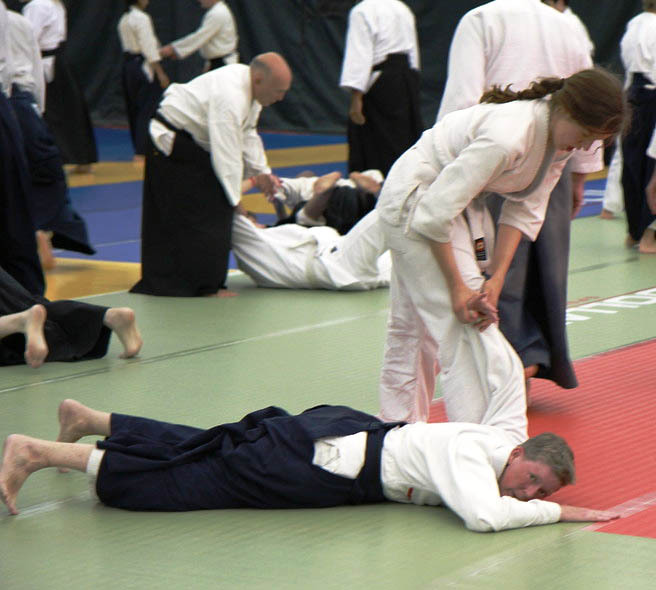 See more videos from the Bucks County Aikido event at the BiranOnline channel on YouTube. 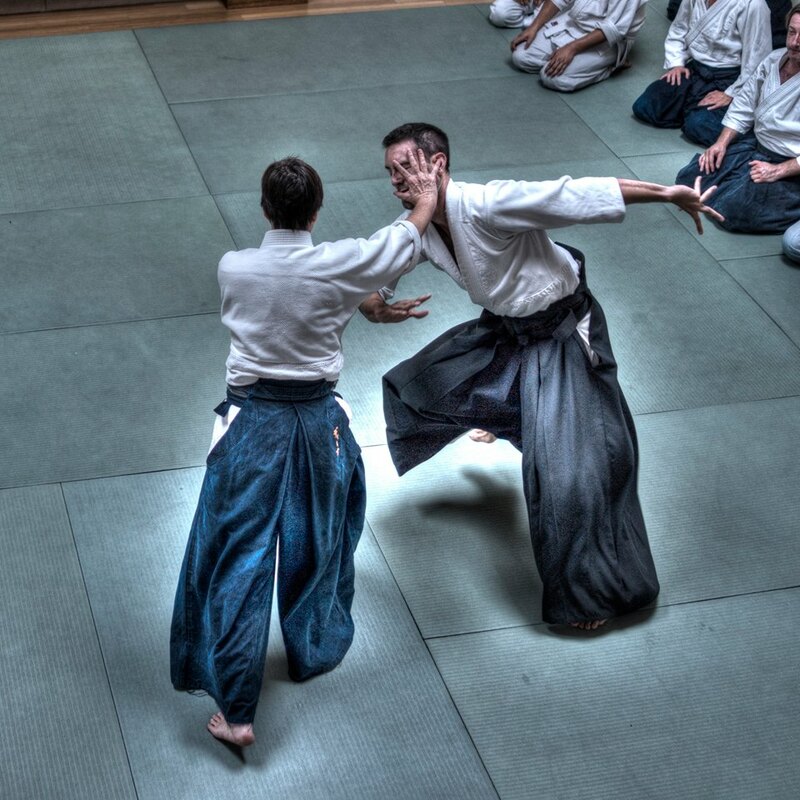 See amazing photos from California on the Aikido of Santa Barbara Facebook page. 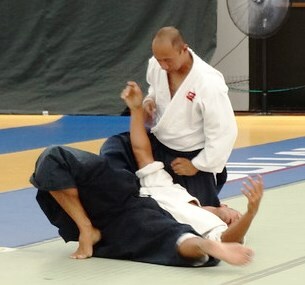 Now to wring out my gis….